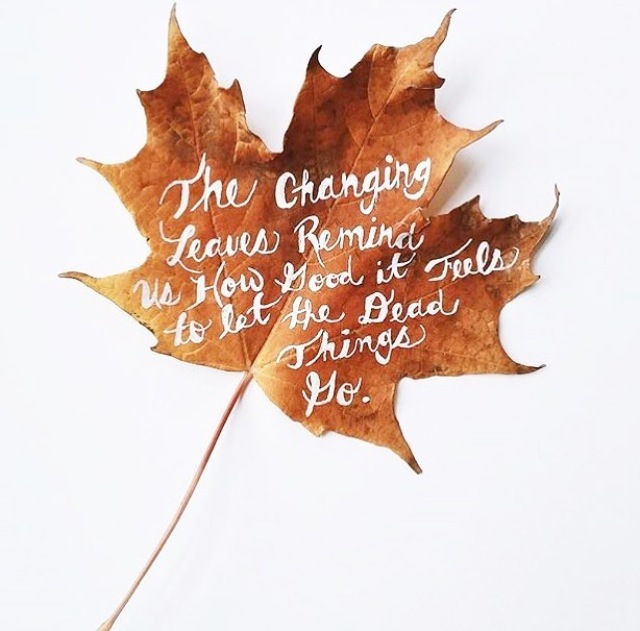 One of my all time favorite sayings about this time of year reminds us to act as the changing leaves, taking all that is dead in our lives and letting it go. This truth applies to any part of your life that needs to stay in the past. For wives who are mid or post trauma in their marriage, my prayer is that you would be able to completely let go of the dead relationship you’re recovering from. I pray that you would see a fresh start as exactly that and move forward full of hope for your new life. For wives, who are now exes. The ones whose marriages died and that was that, my prayer is that you will be able to fully let go of that life. Grieve it, but let it go. Either way, reminders of the former life will come, both good and bad. I pray that you’ll thank God for the happy memories and that He’d heal you from the bad ones. I pray that God would give us all the peace to leave the dead things in the season where they belong, the past.